The audience sits in front of wide mirrors with their back to the stage. The rear wall is mirrored as well. Although the dancers are turning their back on the spectators, the audience can still watch them from the front and vice versa. Often the view is also fragmented, because the mirrors never reflect the entire space. In addition, every spectator gets a small mirror. That allows them to focus their individual view on what’s happing behind their back. The spectators can also see themselves in the mirror, sometimes catching the view of other spectators or the dancers who are equipped with small hand mirrors as well. The dancers are exhibiting their bodies and artistic perfection for voyeuristic pleasure. At the same time, they are hiding behind their reflecting images. This constant change of perspectives questions our own perception and opens irritating gaps of reality. Is the visible the reality or the seen already in the past? How do performers and viewers locate each other? Down through all the epochs, the myth of Orpheus and Eurydice has undergone numerous variations and adaptations. As a reminder: In antiquity, Orpheus was a singer who could mesmerise his surroundings through his music. Since he could not accept the death of his beloved Eurydice, he descended into the underworld with the help of his songs, because he wanted to bring her back to life. Eventually, he was allowed to take Eurydice with him, but he was ordered to walk ahead of her and under no circumstances might he turn around. However, Orpheus violated this ban announced by the gods, and he lost Eurydice forever. His grief flowed into his songs, and they made him immortal as an artist. This probably most influential myth of the artist is employed by CocoonDance as a reflection on the nature of art. The space between life and death, between future and past that Orpheus has to conquer is nothing more than a place within art itself that every artist has to penetrate. 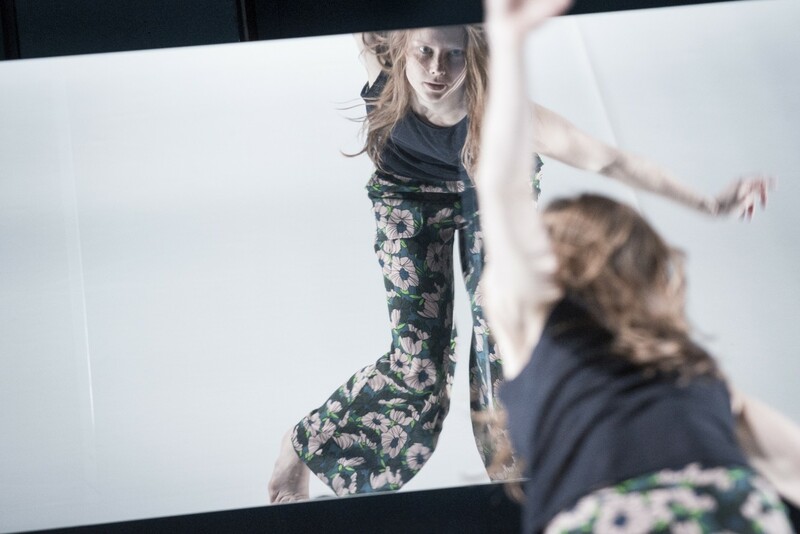 As before in ‘Pieces of Me’, this new project by CocoonDance under the direction of choreographer Rafaële Giovanola develops the dance space away from a narrative space to a ‘distance and think space‘, a space for common experience, for collective experience. The focus is on the interrelation between the extraordinary expression of the dance and its perception. 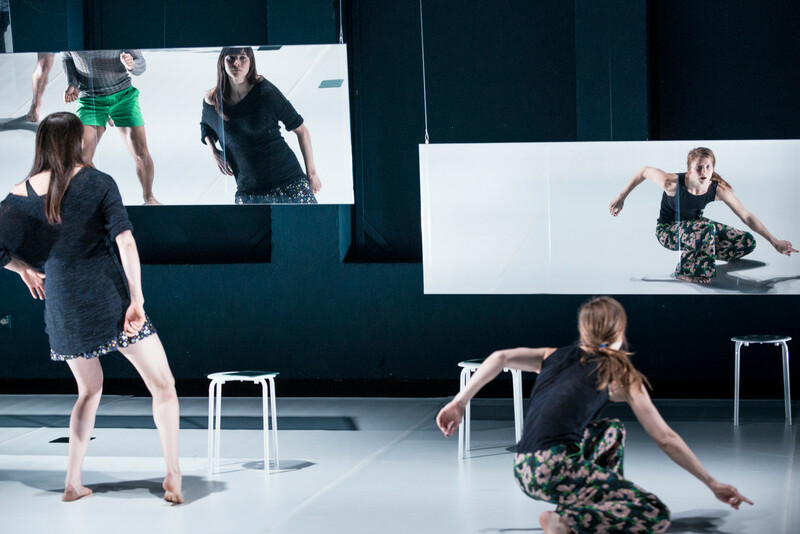 In particular, ‘What about Orfeo?’, deals with the questions of how we see and how to organise the view relationship between the audience and the dancers in a way that makes new experiences possible. “How can we watch ourselves, and what happens if we finally manage to do so? That is the question behind the casual title “What about Orfeo?” with which CocoonDance plays in its new production. 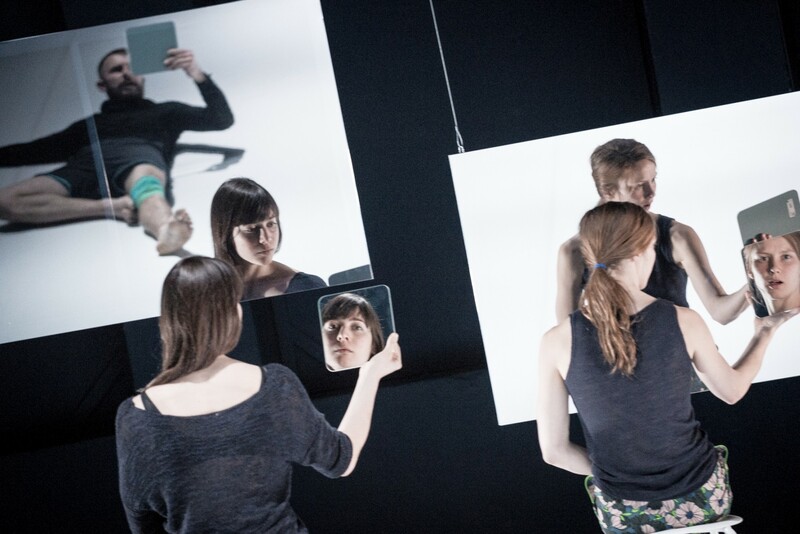 An intelligent game of countless reflecting surfaces mirroring narcissism, voyeurism and desire, in which the Bonn company uses dance as a unique medium of awareness. One of this year’s strongest NRW productions." IN THEIR NEW PRODUCTION “WHAT ABOUT ORFEO?” COCOONDANCE SHOW HOW TO VISUALIZE DESIRE IN A CLEVER CONCEPT (…) This production is full of brilliant tricks. One of them is that there is not only eye contact between performers and audience, but due to the fact that every person in the audience holds a mirror in their hand, everyone watches each other. One sees where the neighbor’s eyes move to. 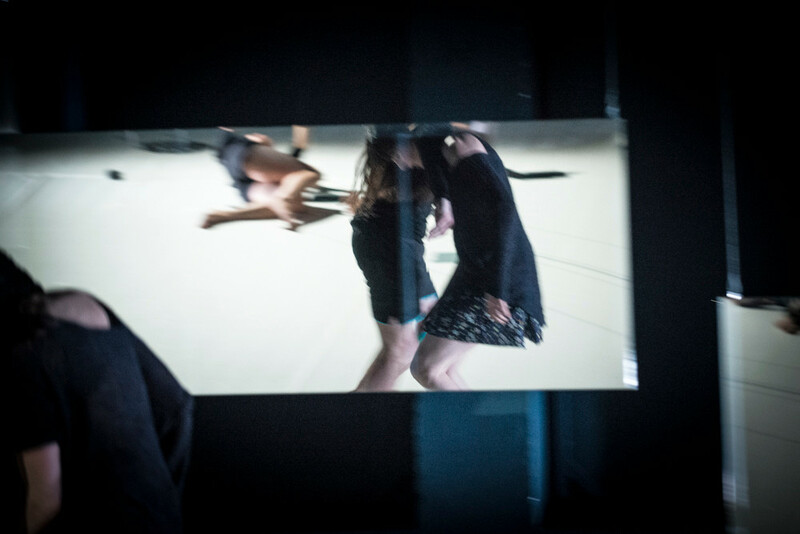 (…) A staging playing with the theatrical gesture and a direct encounter that becomes an experience in the sense of a performance are the forms of expression which are here part of a constant exchange between each other. 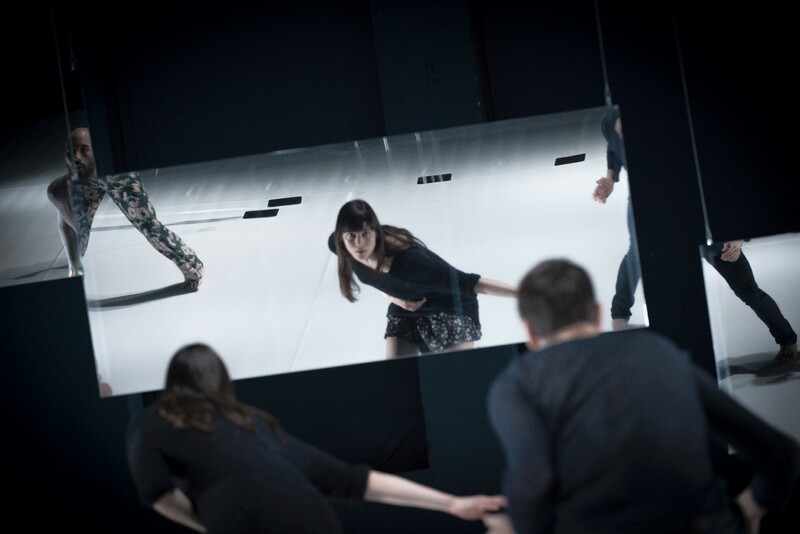 With this production Rafaele Giovanola and Christian Duarte as directors and Reinald Endraß for conception approach the great questions concerning the art of dance by showing that dance offers a possibility for an encounter of bodies which is – while still going on – already reflected in our gaze. Thoughts and experience can fuse in a way no other art form allows for. Even if the divinely singing Orpheus may look back and thus seal his fate, here, the look into the mirror marks the beginning of a dialogue between closeness and distance, privacy and public life, and finally a seductive game during which we ourselves become the center of attention. The Bonn company effortlessly succeeds in this act of genius that is one-of-a-kind in the national scene." "Whether it is art or not lies in the eye of the beholder. They have a choice: to see what everybody will see if they look directly into the reflecting mirrored wall. Alternatively, the spectator could take the mirror to hand which has been laying on their seats since they came in, and find their own perspective, pull the figures and faces up close. (…) the end of the story is well known, the idea of choreographers Rafaële Giovanola and Cristian Duarte from São Paulo extraordinary. 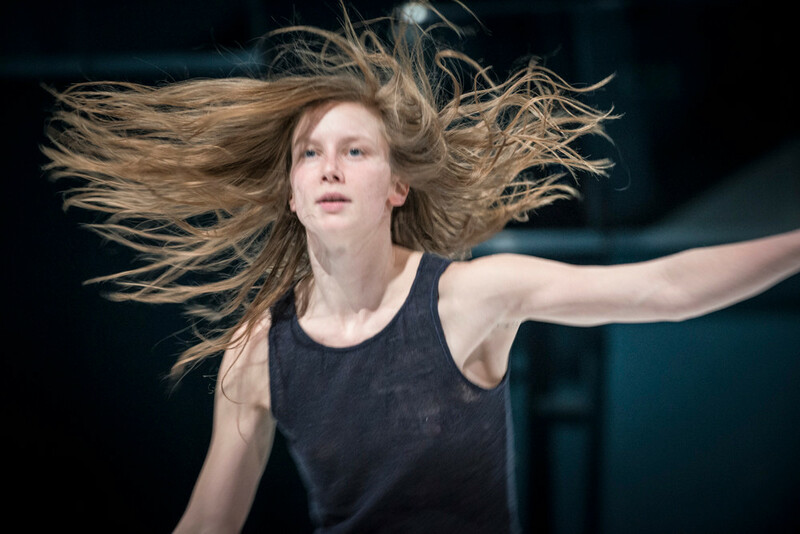 The look back, the personalisation of all that is artistic, the play with the temptation to just look around or to observe one’s very own face while watching – that is what characterises this production. (…) But this is a personal thing. Because, as earlier said, it is art or not lies in the eye of the beholder".